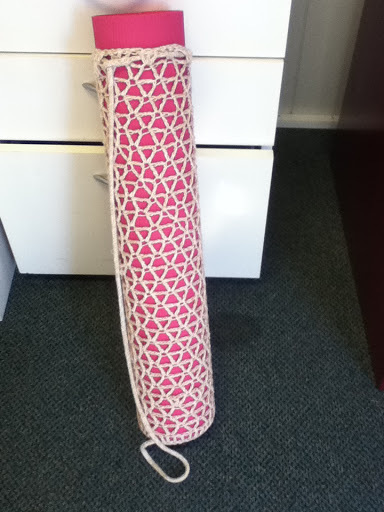 A REALLY long time ago, I was bored on a plane and ended up crocheting a yoga mat bag. I was looking for a quick, easy project to use up some cotton yarn in my stash the other day, so I decided to make a bag for my yoga mat which was languishing untidily in the bottom of my cupboard. Searching on the web failed to find a pattern that I liked, so I ended up making one up. The following is my attempt to put my random pattern down on paper. Please let me know if you find any mistakes or need clarification. 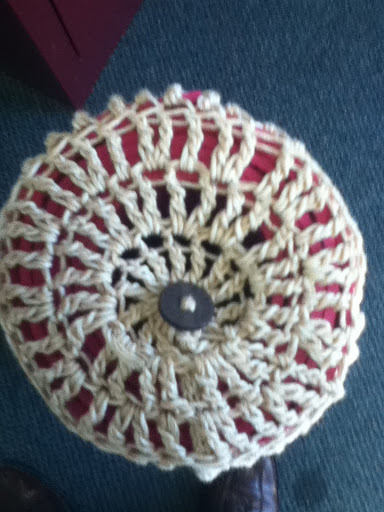 This pattern is written to fit a yoga mat with a rolled diameter of 11 cm. 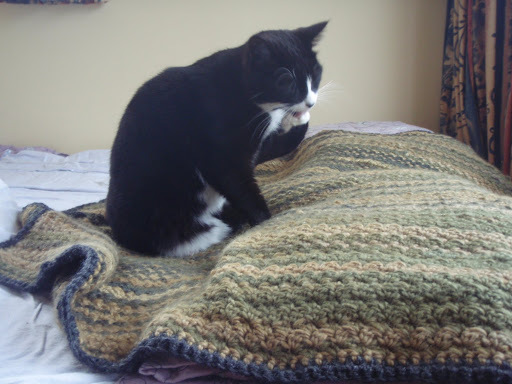 I don’t do gauge, so you may need to adjust the pattern a little, depending on the size of your mat, yarn and hook. Crochet into the back of each stitch for Row 4. Row 5: Ch 3, *skip 2 stitches, tr into next stitch, ch3, tr into same stitch. Repeat from * until end. sl to join to third stitch in initial chain. Row 6: Chain 3, *tr into next stitch, ch3, tr into same stitch. Repeat from * until end. sl to join to third stitch in initial chain. Repeat Row 6 until bag is 1 inch less than desired length. Row 7: Ch 3, 3 tr into each stitch, sl to join. Thread the cord around the top of the bag and tie or sew a small loop in the end. Thread the free end of the cord through this loop and either sew to the bottom or attach using a large button threaded through the starting circle at the base of the bag. Categories: Uncategorized | Tags: crochet, patterns | Permalink. I recently discovered Ravelry – an online forum for knitters and hookers (of the crochet kind) and it has got me inspired to get back into crafting. So a weekend with the flu seem like the perfect opportunity to laze around in the spring sunshine and crochet up a storm. 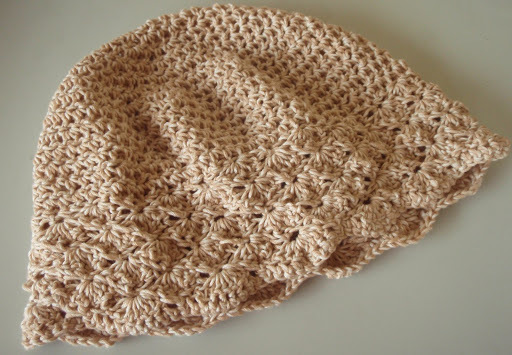 The shell-brimmed cloche was super-easy and took a day and three movies to complete. I made it from a soft cotton that makes it nice and light to wear (& hopefully won’t stretch out of shape). It didn’t really end up being a sunhat (31 things: #26) as I had intended but it’s cute nonetheless. Categories: Uncategorized | Tags: crochet | Permalink. I also needed to clean out some of my random yarn stash – shiny and soft things that my magpie brain has made me by at the yarn store because they were pretty. 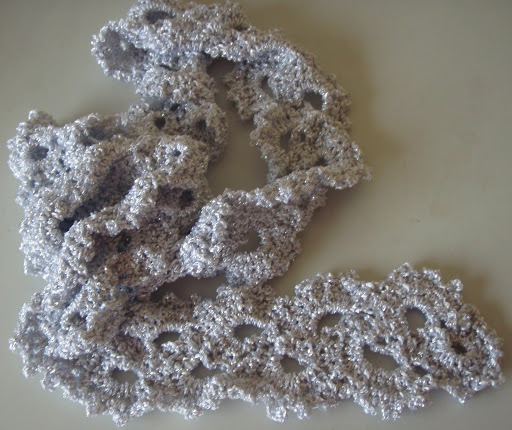 In my random surfing of patterns on Ravelry, I found a pattern for a Queen Anne’s Lace Scarf that looked complicated enough to be interesting to do without being taxing on my snot-filled head. So I ended up using up two balls of stash yarn (a silver metallic and a purple bamboo) to get two very different scarves. No idea what I’ll do with them – they are way too pretty for a jeans and t-shirt girl like me! 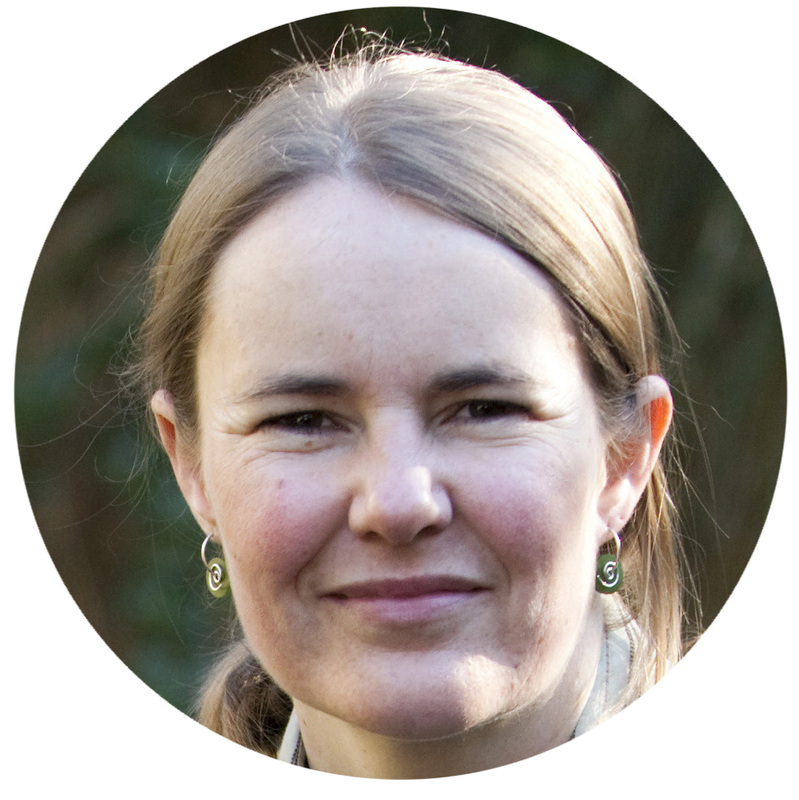 After what has been a monster 3 year hiatus, I have decided to return to the blogosphere. This has been largely prompted by my discovery of RSS feeds and subsequent finding of random crafty/foody blogs that have inspired me to make/eat all sorts of fabulous goodies. So I’m going to use this opportunity to document my crafticious/delicious creations. I finally finished my crocheted blanket today, at least a year after it was started. It’s made from a single ply variegated wool and super soft and cuddly. Badger is in love! I’ve lost the link to the website where I found the pattern, so I’ll attempt to make it up below. Super simple. 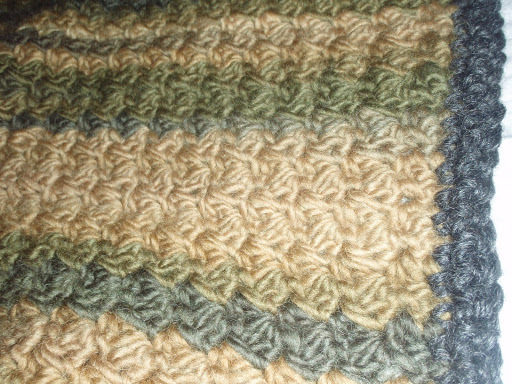 I used 20 balls of 50g single ply variegated wool plus 1/4 ball of random stash wool for the edging and a 7mm crochet hook (I crochet super-tight). Chain a foundation row of 151 stitches (or however wide you want it to be in an odd number). Row 2: Chain 1, sc in first chain, *skip 1, sc and double crochet (dc) in next chain, repeat from * to end. Repeat Row 2 until the desired length, then finish with a row of sc in every stitch. Edging: sc around edge, turning corners by sc, chain 2, sc in corner stitch. When you’ve gone all the way round, turn and go back in the opposite direction for a second round. Hopefully that makes sense. I’ll try and track down a link to the original pattern. 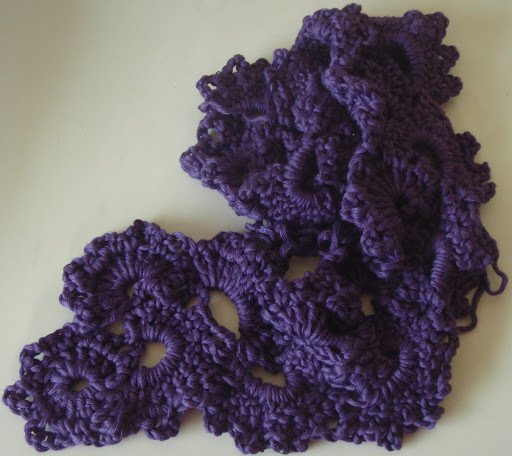 Categories: Crafts | Tags: crochet | Permalink. and welcome to my blog. I'm a list writer. 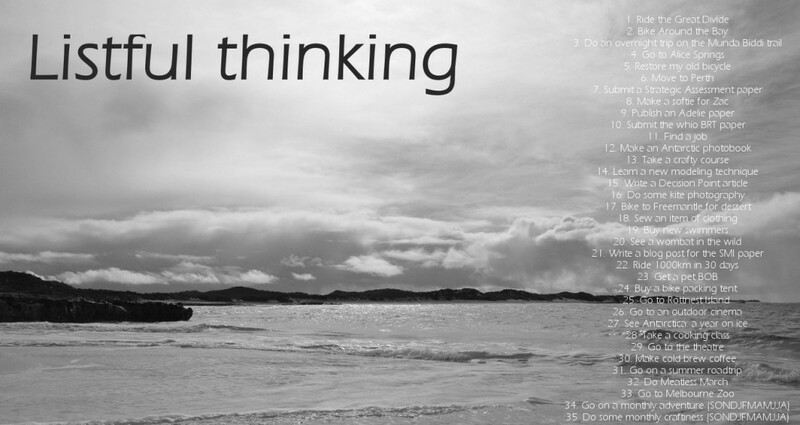 Every year on my birthday, I write a list of things I want to do in the next 12 months. Join me on my journey to cross things off my list.